Seattle is a city full of life, culture, and awesome amenities. If you’re thinking of moving or have just relocated, here’s a brief introduction to the city, some incredible entertainment opportunities, and a bit of the history behind our apartment complex. Seattle was founded by and named after Noah Sealth. Also know as Chief Seattle, he was a member of the Suquamish tribe. 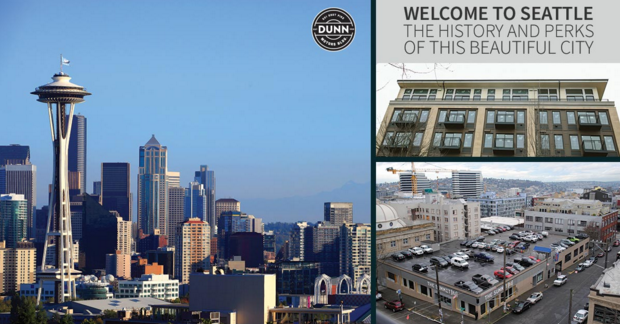 The city was established as Seattle in 1852 but was formerly known as Duwamps. The stunning metropolis had its fair share of setbacks, including the Great Seattle Fire of 1889. The effects of this disaster and the renovations made to the city are highlighted on the Seattle Underground Tour. The Seattle Sounders FC. The Sounders are a major league soccer team that includes national stars like Clint Dempsey. The Seattle International Film Festival. This celebration of cinema showcases films from around the world. Bumbershoot. If you want a full cultural experience, this famous event has a bit of everything: music, arts, theatre, film, dance, and comedy. This major happening is held on Labor Day Weekend. In addition to these famous activities, there are plenty of shopping areas, legendary restaurants, and more in and around the Capitol Hill neighborhood. Now that you have an idea of what you’ll be doing in your free time, check out your apartment. Seattle strives to be a modern and eco friendly city, and our renting options and amenities are exceptional. Solar farm. Dunn Motors Apartments has a 5,400 watt solar system installed on the roof. This helps save energy and minimize your utility bill. Roof deck. Our roof is also an awesome entertainment space; it includes fire pits, a music system, and a breathtaking view across the Emerald City. Package delivery. You’ll never have to worry about a package waiting vulnerably on your porch. Our staff accepts and holds packages from all local carriers for you. Dunn Motors Apartments are located at 501 East Pike. If you’d like more information about the city or would like to schedule a walkthrough of one of our studio, one-bedroom or two bedrooms rentals, contact us today. Move in and enjoy all Seattle has to offer.